Michael Crabetree? Has that name drifted off in your mind? Its probably due to his long absence from the game of football as hes sat out most of the 2013 season after tearing his Achilles in May. Week 13 is a special week for the San Francisco 49ers someone...someone we might have already mentioned will most likely be making his long awaited return. Thats right! 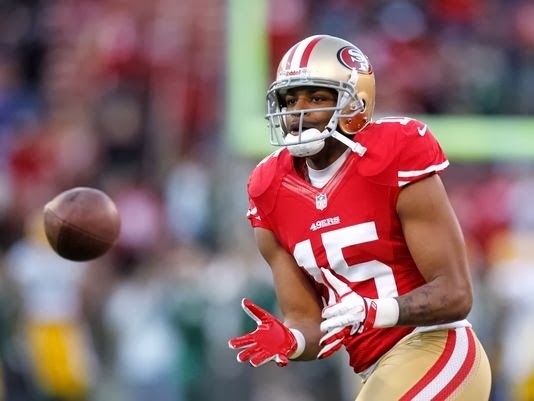 Crabtree will be in the 49ers active lineup for the first time since last season. We can conclude that this is most likely probable as head coach Jim Harbaugh hinted Crabtree's return at his Friday news conference. 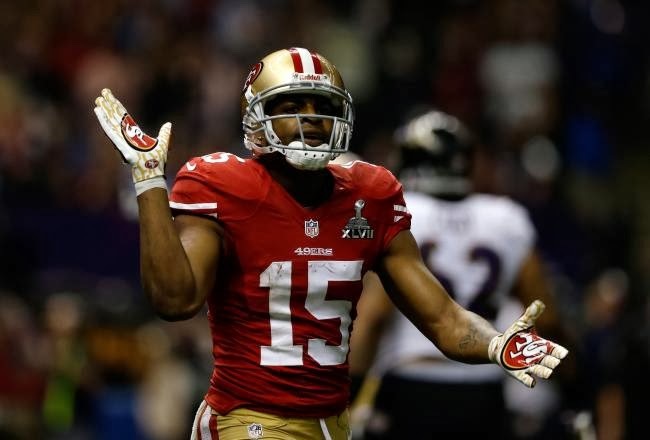 Harbaugh was asked if Crabtree would play Sunday against the Rams and he responded saying "Looks that way". Crabtree is also been removed from the teams injury report so now fans really can get exited to see their standout wide receiver back on the field trying to push the 49ers into the upcoming 2013 NFL playoffs. It has looked like he has had no setbacks since beginning to practice on November 5th, and as a result he will be eased right back into the teams rotation. Will we see him play big minutes against the Rams? Not necessarily. 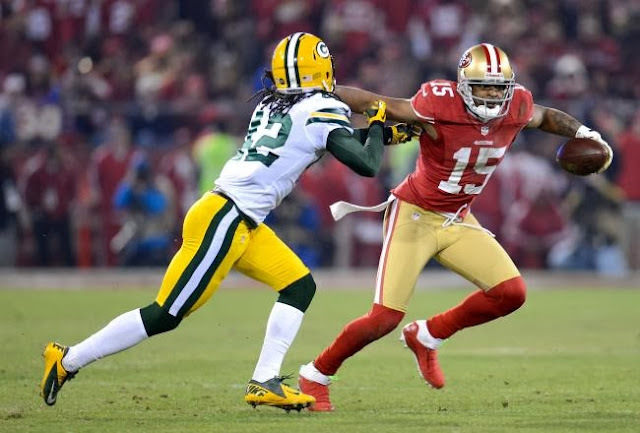 San Francisco's offensive coordinator Greg Roman on Thursday revealed much about his standing for Sundays game saying "Crabtree will likely not play extensively right away". How bad have the 49ers missed him? Id say pretty badly! 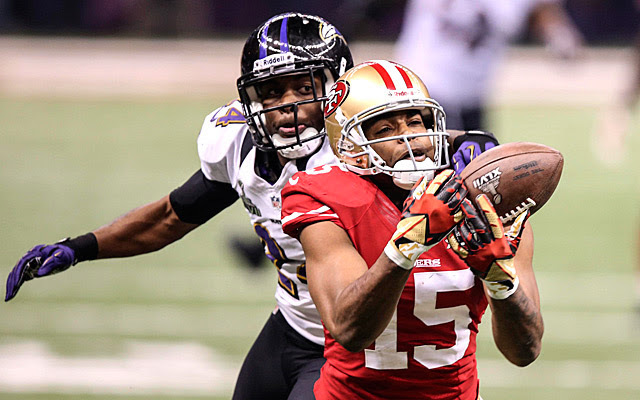 Crabtree was targeted on a very high 34 percent of the teams plays in the 2012 season. Dan J carney is a sports writer for 3 online sports websites. He writes for Tru School Sports, RantSports.com (covers the Charlotte Bobcats), and he also writes for the league news.us. Dan is also a YouTube sports talk show host where he talks on his channel (DanJcarney) about trending topics, questions, and breaking news about everything and anything regarding the NBA, NFL, MLB, and NHL. You can follow him on Twitter @dan_jcarney, Subscribe to him on YouTube, or add him on Google+.